As the demand for healthy snacking continues to grow, we’re delivering! 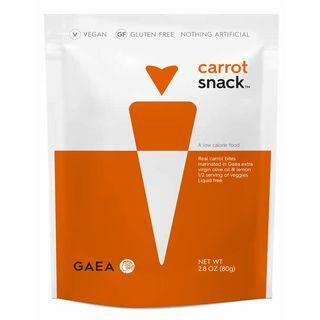 The first shelf-stable veggie snacks with no preservatives and all natural ingredients. Gherkin mini pickles marinated in Gaea extra virgin olive oil, garlic, coriander, and sea salt. These olive snacks are pitted and marinated with chili and black pepper. Packaged without preservatives or additives. Low salt content. Packed in an innovative re-sealable bag that allows repeated opening and closing. 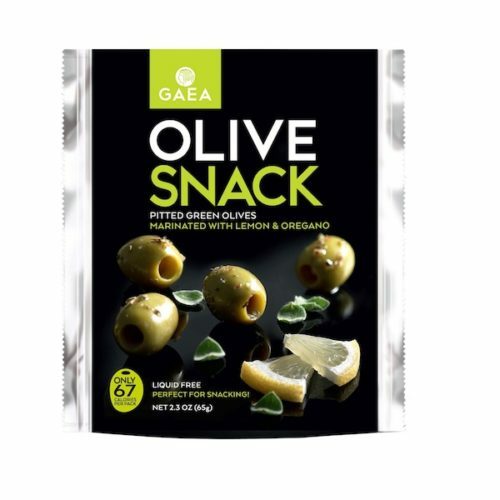 These Green Olive Snacks are made from pitted Halkidiki olives which are marinated with lemon and oregano. No preservatives or additives. Low salt content. Packed in innovative re-sealable packaging. These Halkidiki Green Olive Snack Packs are pitted and marinated with lemon and oregano. The olives are packed in an innovative re-sealable, liquid-free package which allows for repeated safe openings and closings. 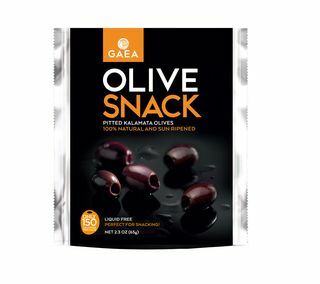 GAEA Mixed Olives Snack is 100% natural and delicious. The olives are pitted and marinated with chili and black pepper. It is the 1st olive snack in the world without preservatives or additives and the lowest salt content. The olives are packed in protected atmosphere, in an innovative re-sealable packaging, allowing repeated safe openings and closings. 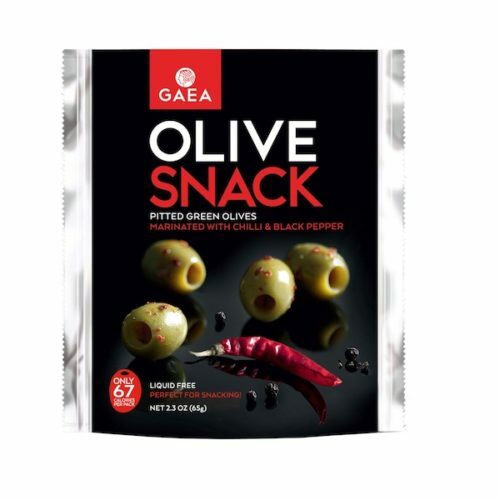 The GAEA Mixed Olive snack is a source of dietary fiber and copper, rich in vitamin E and contains mono-unsaturated fatty acids and polyphenols. Liquid free and full of authentic Greek flavors, it’s a delicious and a perfectly healthy, low calories snack for anytime of the day! 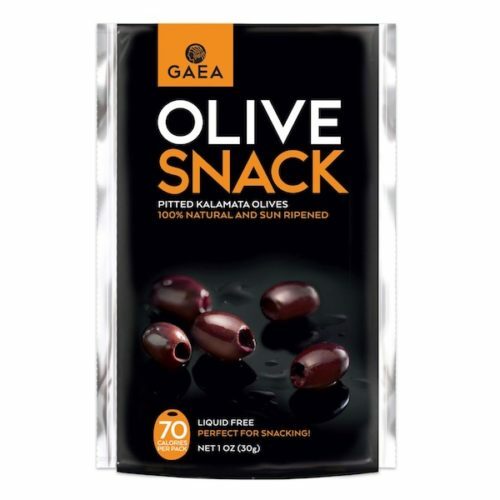 Delicious pitted Kalamata olives are packed in a convenient, single-serve, re-sealable packaging, allowing repeated safe openings and closings. Liquid-free and full of authentic Greek flavors, they're a healthy, low-calorie snack for any time of the day! As the demand for healthy snacking continues to grow, we’re delivering! 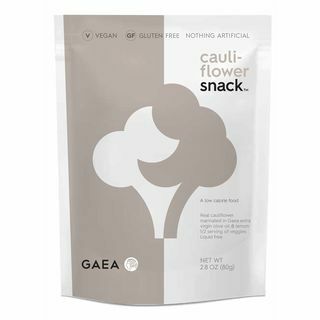 The first shelf-stable veggie snacks with no preservatives and all natural ingredients. Carrots marinated in Gaea extra virgin olive oil, lemon juice, and sea salt. As the demand for healthy snacking continues to grow, we’re delivering! 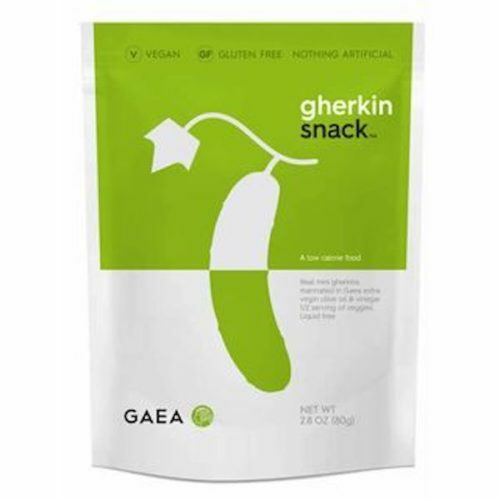 The first shelf-stable veggie snack with no preservatives and all natural ingredients. Cauliflower pickled and marinated in Gaea extra virgin olive oil, lemon essential oil, and sea salt. GAEA Organic Halkidiki olives are handpicked from organically cultivated trees. They are famous for their crisp flesh and great flavor. 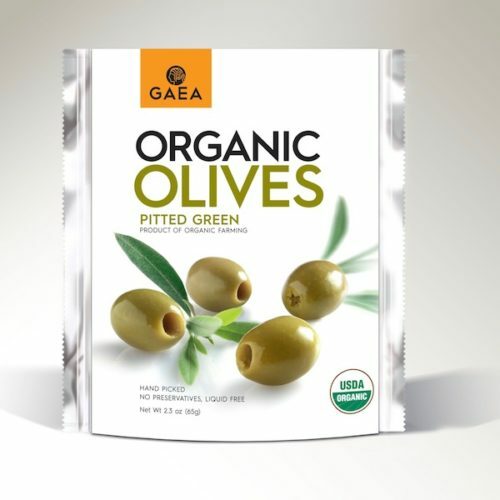 Packed in re-sealable, liquid-free packaging to keep olives fresh and full of authentic Greek flavor. Preservative free. Reduced salt. 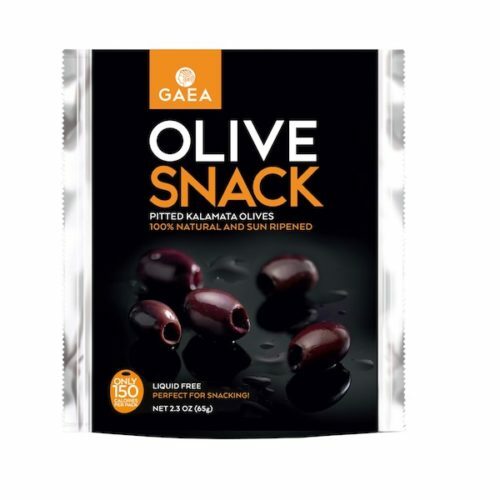 GAEA Organic Kalamata olives are sun-ripened and handpicked from organically cultivated trees. These olives are delicious for snacking and entertaining. Liquid-free, preservative-free. Reduced salt. The packaging keeps your olives fresh and full of Greek flavor. The famous Kalamata olives pitted and packed in a protected atmosphere, re-sealable, liquid free packaging, that keeps the olives fresh and full of authentic Greek flavors. 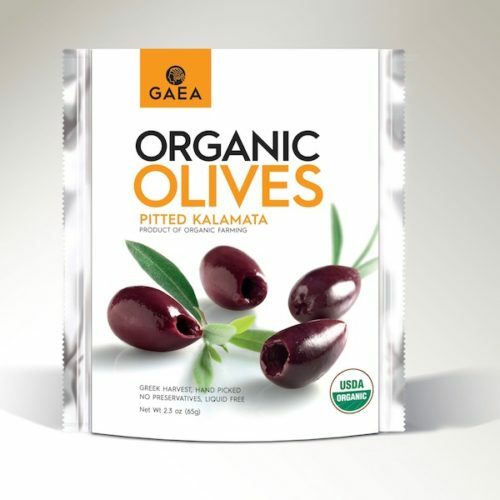 GAEA pitted Kalamata olives are sun ripened. Their color is natural black depending on the exposure to the sun’s rays while on the tree. They are a source of dietary fiber and copper, rich in vitamin E and contain mono-unsaturated fatty acids and polyphenols. These olives are delicious for snacking and entertaining! Liquid free, preservative free and with reduced salt. In a pouch that keeps the olives fresh and full of authentic Greek flavors.